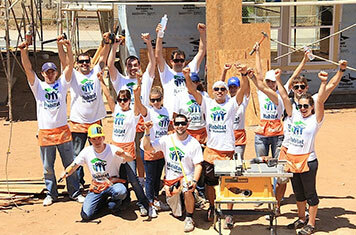 One of the guiding principles at FortuneBuilders is giving back. Our company has a culture where personal growth and improvement is as important as professional growth. Volunteering and getting involved with charitable efforts is a key component to that belief. FortuneBuilders Gives is our initiative to create and foster opportunities for our team members, students and local communities to get involved with philanthropy. We primarily focus on the areas of Children, Education and Housing when participating or partnering with charities. We have been privileged to work with national and local charities across the country for a variety of causes. We are continually creating opportunities for you to get involved directly or learning how you can give back in your own community. Visit the FortuneBuildersGives.com website, dedicated to our philanthropic efforts to see past and present projects, read truly inspiring and emotional blogs and flip through the photo gallery.